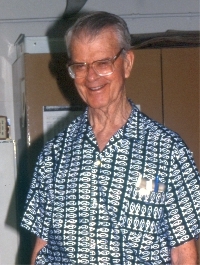 Robert Rush Miller (23 April 1916 – 10 February 2003) was an important figure in American ichthyology and conservation from 1940 to the 1990s. He was born in Colorado Springs, earned his bachelor's degree at University of California, Berkeley in 1938, a master's degree at the University of Michigan in 1943, and a Ph.D. at the University of Michigan in 1944. He received tenure at the University of Michigan in 1954.